BiblioCommons builds software that transforms the public library's essential online services—your website, your catalog, your events calendar—from transactions to experiences worthy of your public library. BiblioCore​ provides a better online catalog that seamlessly integrates with every major ILS. BiblioCore offers better search, better borrowing and it’s all mobile-friendly. Out of the box BiblioCore offers robust discovery, the best catalog search available, readers’ advisory tools, personal record keeping, and many great ways to feature staff content via comments, reviews, lists and more. BiblioWeb​ is a complete website builder and content management system that’s optimized for the public library and seamlessly integrates with BiblioCore and BiblioEvents. BiblioWeb features staff-friendly workflows with easy content creation tools, and the ability to cross-merchandise your website with ease. With BiblioWeb’s Curation Console your content only needs to be created once - Tweets on Twitter, blogs on your website, lists in your catalog, events in your events calendar - and then staff create a card or carousel to feature that content anywhere on your website. BiblioEvents, is a patron-friendly, fully response and visually appealing way to manage your library programs and events, and comes included with your BiblioWeb subscription. And coming soon is ​BiblioOmni​, a brand new way to think about marketing at the library. BiblioOmni allows you to easily curate fresh, timely, local content across all of your library’s channels. It’s modern marketing automation, but built for the public library. The BiblioCore catalog is live with many of the top public libraries in North America. 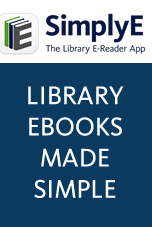 In California alone, Santa Clara County Library System, Peninsula Library System, Oceanside Library, Palo Alto City Library, San Mateo County Library, San Francisco Public Library, and San Diego Public Library have joined the BiblioCommons shared platform. Additionally, Chicago Public Library, The Seattle Public Library, King County Library System, Multnomah County Library, and over 200 other public libraries worldwide have gone live since the company started just over 10 years ago. Any Califa member library that subscribes to the BiblioCore catalog will receive two days of in-person, on-site staff training during implementation—a $5,000 value.